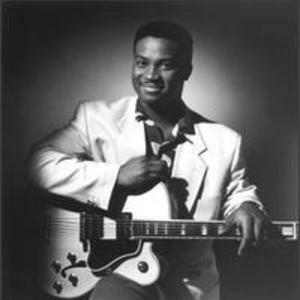 Russell Malone (born November 8, 1963 in Albany, Georgia) is an essentially self-taught swing jazz guitarist. He also performs in the bebop and contemporary jazz genres of jazz. He began working with Jimmy Smith in 1988, and went on to work with Harry Connick, Jr. and Diana Krall throughout the 1990's. Malone played with jazz organist Jimmy Smith from 1988?1990. He then joined the Harry Connick Jr. Big Band from 1989-1994. Malone played with jazz organist Jimmy Smith from 1988?1990. He then joined the Harry Connick Jr. Big Band from 1989-1994. In 1995, Malone became part of the Diana Krall trio, participating in three Grammy-nominated albums, the final one in 1999, "When I Look In Your Eyes," winning Best Vocal Jazz Performance. In addition to touring regularly as leader of The Russell Malone Quartet, Russell Malone can be seen in appearances with Dianne Reeves and Romero Lubambo. He also tours frequently with Ron Carter as part of the Golden Striker Trio often featuring Mulgrew Miller at piano. Other special guest appearances have included Malone with Bobby Hutcherson, Dr. Lonnie Smith, and Hank Jones (in celebration of his 90th birthday). October, 2008, found Russell Malone in duo at Yoshi's in Oakland, California, with fellow jazz guitarist and Grammy-winner Bill Frisell. The duo toured once again in February, 2009, in the Pacific Northwest. Malone's two most recent MAXJAZZ releases are "Live At Jazz Standard, Volume One" (2006) and Live At Jazz Standard, Volume Two" (2007). Appearing on these two volumes, and touring as The Russell Malone Quartet, are Martin Bejerano on piano, Tassili Bond on bass, and Johnathan Blake on drums.